Belmont University student Sophie Reichert has been awarded a scholarship to attend the World Affairs Councils of America (WACA) national conference in Washington, D.C. She was selected from numerous applicants from several universities to represent the Tennessee World Affairs Council at the three-day conference. 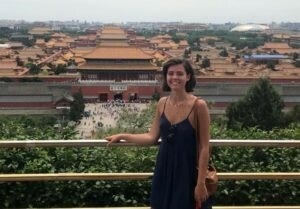 Reichert is a junior international business major with a minor in Chinese and is also involved with Enactus on campus. The WACA National Conference brings together government officials, diplomats, students and many others to discuss global issues. At the national conference, Reichert will have the opportunity to hear from keynote speakers, panel discussions and attend receptions at different diplomatic residencies and foreign embassies. Reichert is one of 25 students selected, and the second from Belmont, to attend the conference.